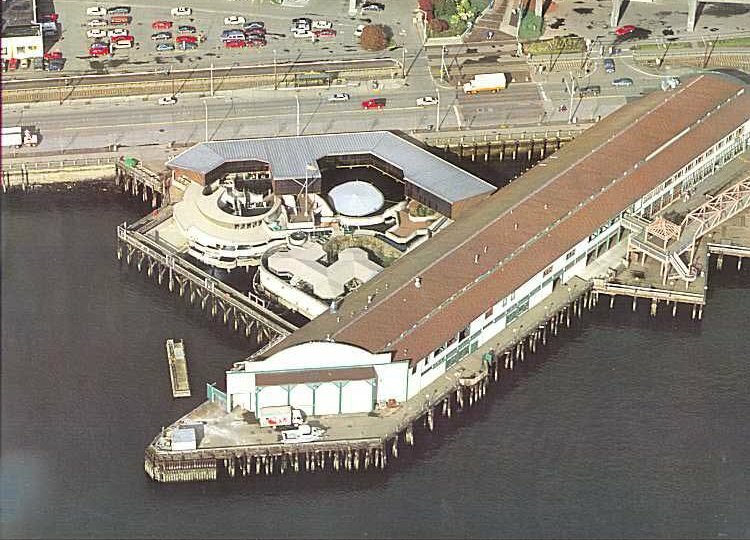 Not so imposing from the outside, Seattle's AQUARIUM (Pier 59) is the tourist-conscious central waterfront's big draw. Inside ia a maze of illuminated displays. Fish of all kinds - sharks, snapper, octopi, and salmon coming home to spawn. Tiny salmon, released from the aquarium, return in 3-4 years, as if by radar. These tired, sometimes battered, natives can be seen through glass-enclosed fish ladders. There are convincing re-creations of intertidal and coastal ecosystems. Also inside is the Omnidome Theater with depiction's of nature's underwater spectacles. You can spend an entire day in this place and only your feet will get tired.